Lisa, (aka “WHIZZY”) has been a huge part of Team Canyons since 1987. Her zest for life is beautifully paired with her immense love of the river, which she shares with everyone that she meets. With boundless energy, she is an amazing chef, a social diva and continues to be an inspiration to our team. 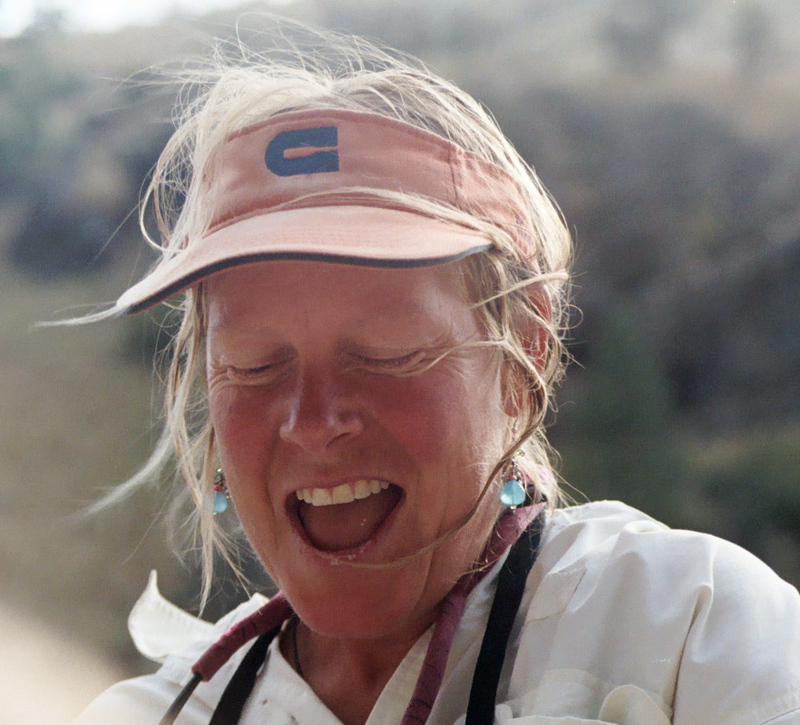 She is a gifted boatwoman with a symphony of stories and an authentic style that is all her own. She has worked as a field archaeologist for Grand Canyon National Park, and rock art is her specialty. She is our resident expert on the Salmon River pictographs. During the long winter months, Lisa owns and operates Blue Moon Outfitters, a unique Mongolian-style yurt, offering out-of-this-world multi-course ethnic gourmet cuisine. Her culinary skills on the river are unmatched!